To help you in finding topics of your interest please consult the ‘map’ below. 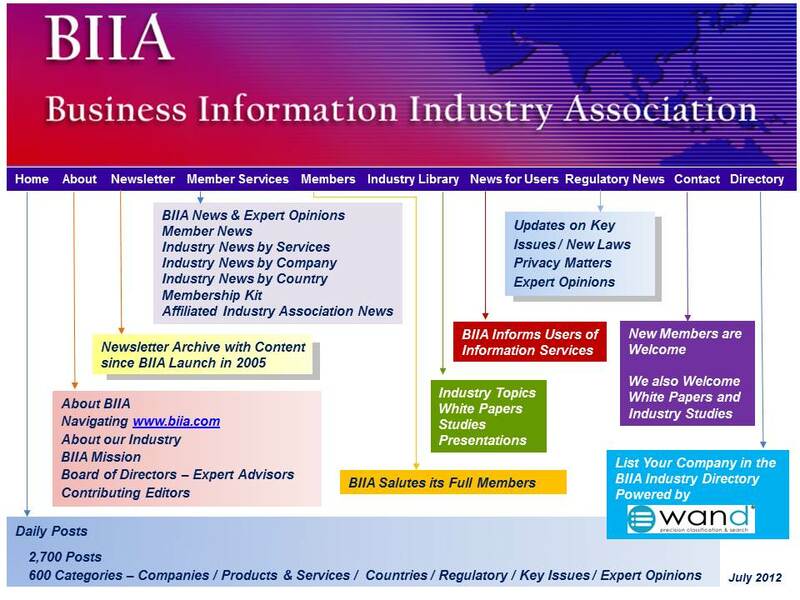 The BIIA’s database covers industry, company and country news going back to 2005. The BIIA library contains over 2,600 posts with expert opinions, white papers and presentations. Of course you can also use the keyword search feature on the top right hand corner. Please have in mind that many articles and expert opinions are password protected, therefore members should log on at all times. In June 2012 over 30,000 unique visitors accessed over 120,000 pages of information, which demonstrates the value of www.biia.com as a major reference site for business information.